4. Surface treatment: Mill finish, anodized, powder coated, electrophoresis, sand balsting etc. 6. Packing details: Shrinking film, as your request. Multiple choice for surface treatment: Silvery white anodizing, electrophoretic coating, powder coating, PVDF coating, wooden texture coating. Can be processed in multiple or different color based on our clients. Satisfy clients'different requirement on appeareance. We will give you our best prices and service! Please let us know the specifications, quantity and packing you want, we will reply you ASAP. 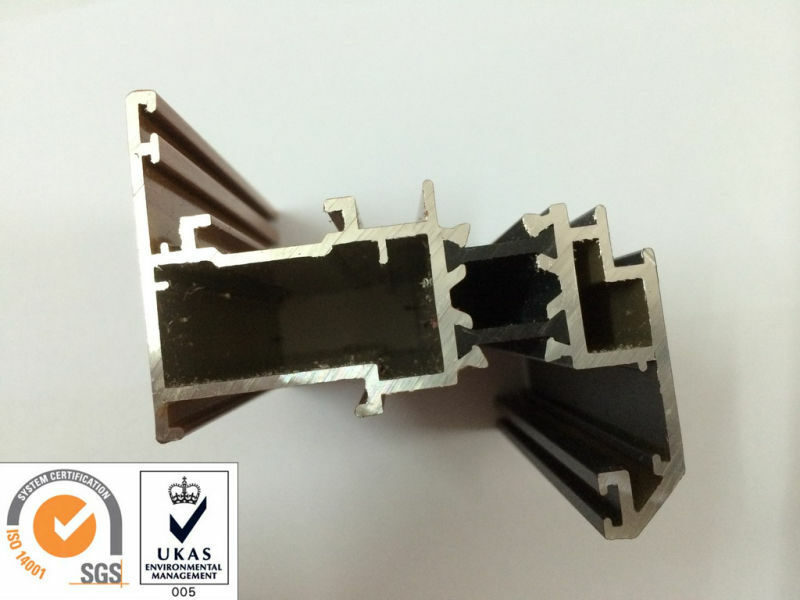 If our Aluminum profiles are not suitable for you, you could provide us your samples or technical drawings, we can extruded according to your designs. We are a producer specializing in the production and manufacturing of aluminum alloy profiles and metal products. Our company undertakes process according to supplied materials, samples and drawings, and has wide cooperation with customers.